I visit this site after an incident in my cousin sister’s family which happened with her dad. 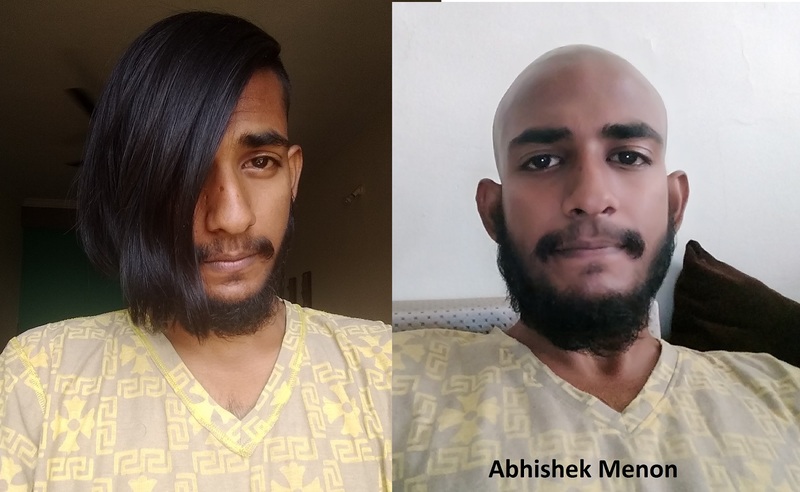 And then I came to know that she donated her hair in the memory of her late dad. Then I felt that this donation is really a great feeling to have. But being a boy we don’t grow much hair. But it strike me, so I decided to grow my hair it. But I didn’t say anything about this to anyone why I’m growing my hair. That was the best time. But now I’m happy to donate these hair and grateful to be used for someone. Thanks for starting this cause. I’ll surely spread this so that more and more people donate. – Abhishek Menon.